Based on the Turing architecture, the ZOTAC GAMING GeForce GTX 1660 Ti Graphics Card provides improvements in performance, memory bandwidth, and power efficiency over its predecessor based on the Pascal architecture. The front panel of the card features a variety of outputs including DisplayPort 1.4 and HDMI 2.0b. 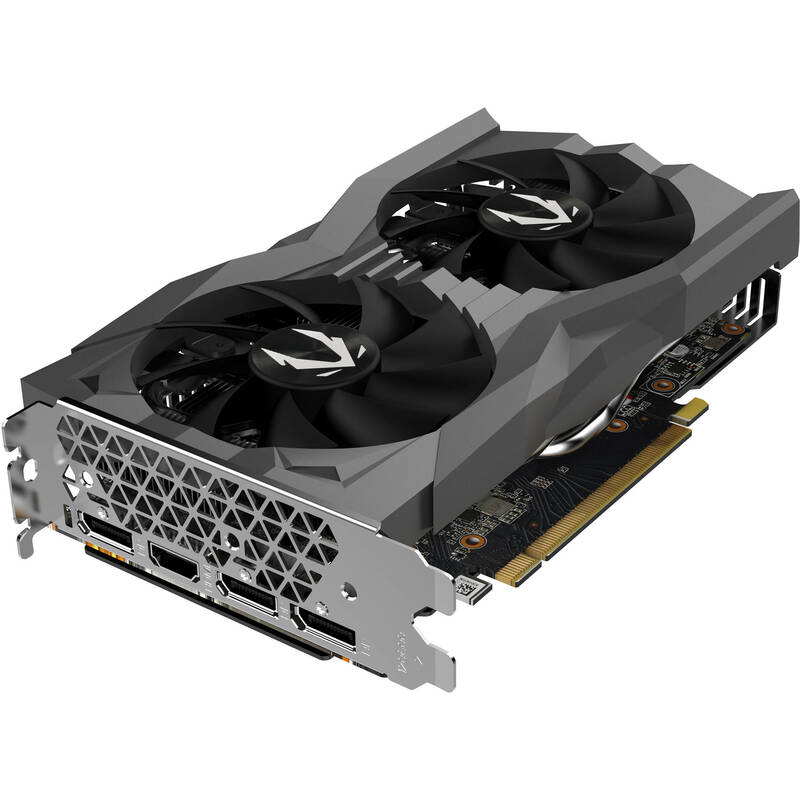 The GTX 1660 Ti is not just about high-resolution gaming; Computationally intensive programs can utilize the GPU's 1536 cores to accelerate tasks using CUDA or other APIs. For cooling, ZOTAC implemented an ICESTORM 2.0 cooler. It features three 6 mm copper heatpipes, dual 90 mm fans, a wide array aluminum heatsink, and a wraparound backplate. Boosts the card's clock speed in real-time based on the target temperature. If the card is running below the set target temperature, GPU Boost 4.0 will increase the clock speed to improve performance. The target temperature can be reset depending on your preference so you can have the card run more quietly for everyday tasks and older games and run at full tilt during intense high-resolution gaming sequences. With Ansel, gamers can compose the gameplay shots they want, pointing the camera in any direction and from any vantage point within a gaming world. They can capture screenshots at up to 32 times the screen resolution and then zoom in where they choose without losing fidelity. With photo-filters, they can add effects in real-time before taking the shot and they can capture 360-degree stereo photospheres for viewing in a VR headset or Google Cardboard. NVIDIA's parallel computing platform enables an increase in computing performance by harnessing the parallel nature of GPU processing. CUDA-compatible applications can assign intensive parallel computing tasks such as real-time video rendering to the GPU to process, which frees up the computer's CPU to run other tasks. When used with a monitor that has G-SYNC hardware installed, the monitor's refresh rate will sync and lock with the graphics card's output frame rate. Establishing this sync removes tearing and stuttering which can result from conventional fixed-screen refresh rates. This is especially important for gaming in stereoscopic 3D. An additional benefit of G-SYNC is reduced lag so gamers will benefit from the improved command response time as well. Box Dimensions (LxWxH) 11.4 x 8.7 x 3.4"